A service apartment is a fully furnished apartment available for both short-term as well as long-term stays, providing all the hotel-like amenities. service apartments typically include soft-furnishings and cooking utensils so that long term tenants need not bring their own, and have all the services like housekeeping, front office, parking & others included in the rent. service apartments therefore include all of the convenience of hotel rooms but can be less expensive than equivalent hotel rooms for longer stays. Because of the beginning of the boom in longerapartment stay international travel as well as the corresponding increase in the level of sophistication of international travelers, interest in service apartments has risen at the expense of the use of hotels for short stays. Benefits may include more space and privacy, convenience when travelling with a family, and the savings associated with cooking one's own meals in the apartment. The apartment has 3 bedrooms making it a space/comfort bonanza, a hall where you could escape time and one well equipped pantry the items of which would create tastebud stimulating , heart melting, time stopping moments. All rooms have the grandest of sense stimulating washrooms where you can become one withapartment yourself and your reflection. 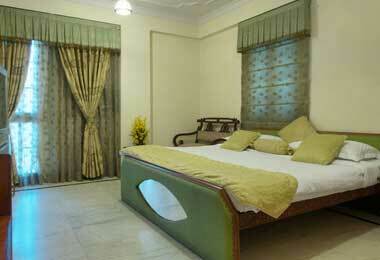 Ultra cool Airconditioned rooms with complete climate control and clean air await you. 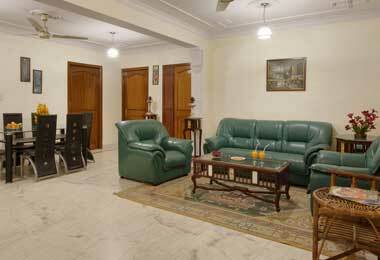 A courtyard par excellence in the deluxe apartment wing awaits the emperor. 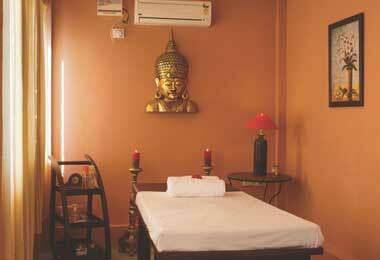 Here you can meet up with your neighbours and just relax with your family or yourself and enjoy the beauty of your karma which has brought you to this place exotica.